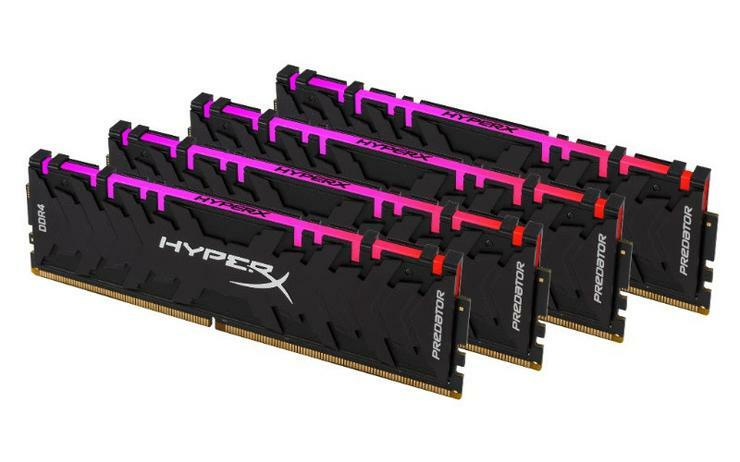 HyperX have announced the launch of the Predator DDR4 RGB featuring HyperX Infrared Sync technology. The new Predator DDR4 RGB features Intel XMP-ready profiles optimised for Intel’s latest platform, allowing gamers and overlockers to further personalise their gaming visual experience and customise their PCs and system builds. It is available as 8GB single modules and in kits of two or four with 16GB and 32GB capacities. The new HyperX Predator DDR4 RGB comes equipped with a LED light bar with fluid RGB lighting effects. The memory is compatible with lighting control software from a range of motherboard vendors including ASUS Aura Sync, Gigabyte RGB Fusion, and MSI Mystic Light Sync. Powered directly from the motherboard, the HyperX IR Sync Technology provides an enhanced visual experience by keeping the module lighting in sync. Designed to perform using DDR4 1.35V settings on a variety of DDR4 motherboards, Predator DDR4 RGB memory is 100 percent factory tested and backed by a lifetime warranty, free technical support and reliability. HyperX Predator DDR4 RGB will be available through HyperX’s network of retail and e-tail outlets late May 2018. For more information on HyperX DDR4 and global availability, please visit the HyperX memory webpage.